Organic dried cranberries sweetened with apple juice. The nutrients in cranberries have been linked to numerous health benefits. Cranberries are one of the best natural sources of Vitamin C, with more of the vitamin than most of the other fruits on the planet. Organic dried cranberries are made by partially dehydrating fresh cranberries. This is the similar process for making grapes into raisins. These organic dried cranberries are deliciously tart and sweet. Dried cranberries provide a convenient, portable option for incorporating fruits into a diet. Keeping in mind that fruit is an important part of a balanced diet. Nutritional Profile: Organic dried cranberries are very high in nutritional value and dietary fiber. 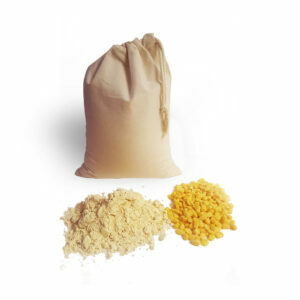 At the same time, they are low in carbohydrates and calories. Only 25 calories per 1/2 cup. 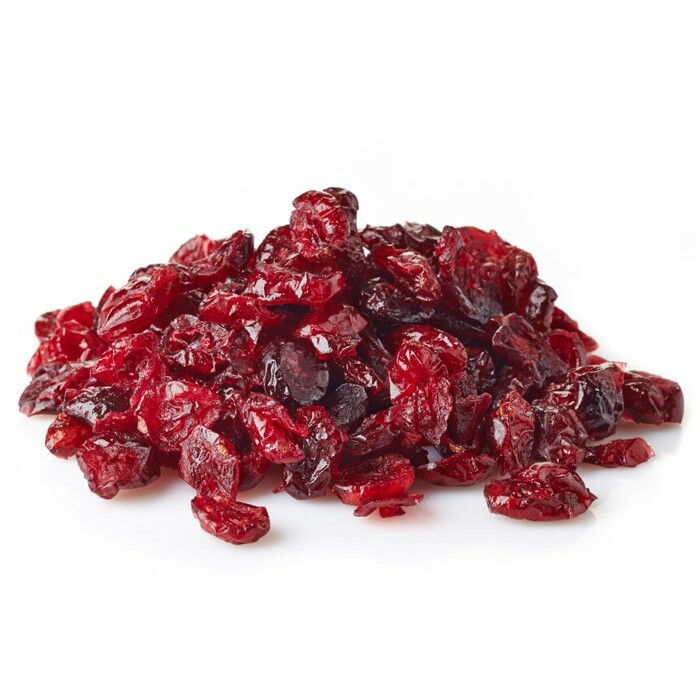 One serving of dried cranberries contains 3 g of dietary fiber. In addition to this, they are a good source of vitamin C and vitamin E. Besides, they make an excellent source of the mineral manganese. Being rich in vitamins and antioxidants, organic dried cranberries make a healthy addition to your diet. Adults should limit their daily intake of total fat. Following that dried cranberries do not contain any fat, neither saturated or trans fat. Also, they are cholesterol free. Although some suggest serving size of 1/3 cup, USDA counts 1/2 cup of dried fruit equivalent to 1 cup of fruit. Health Benefits: Eating organic dried cranberries can prevent or even treat, Urinary Tract Infection ( UTI). This is due to phytonutrients found in cranberries. The same phytonutrients benefit dental health. They prevent bacteria from sticking to the teeth. As a bonus, the anti-inflammatory effects of these phytonutrients reduce gum inflammation. The high content of antioxidants in cranberries can improve the function of your heart, lungs, circulatory system, and liver. Furthermore, dried cranberries have an anti-inflammatory effect. As such, they potentially benefit conditions like rheumatoid arthritis, stomach, and digestive disorders. Dietary fiber can help stop the Helicobacter pylori bacteria from adhering to the walls of your stomach. Potentially preventing infections and ulcer developments caused by this bacteria. Above all, they are beneficial in slowing tumor growth. For the fact, eating the whole berry is better than supplementing it with an isolated nutrient or extract. Usage: They are excellent for snacking, baking, tossing with salads. Dried cranberries can be incorporated into yogurt, cereal or oatmeal. They can act as a direct replacement for raisins or any dried fruit.